The local community is quite strong, several streets organise yearly street events and the local voluntary committee organises a series of returning events for the residents (e.g. an egg-hunt around Easter, or a new years day event). In addition, some residents take up own initiative to collaborate and/or get together. The neighbourhood farm is very simple; a resident had bought some square boxes in which you can plant and grow vegetables. The maintenance of the vegetables is done by the residents temselves. 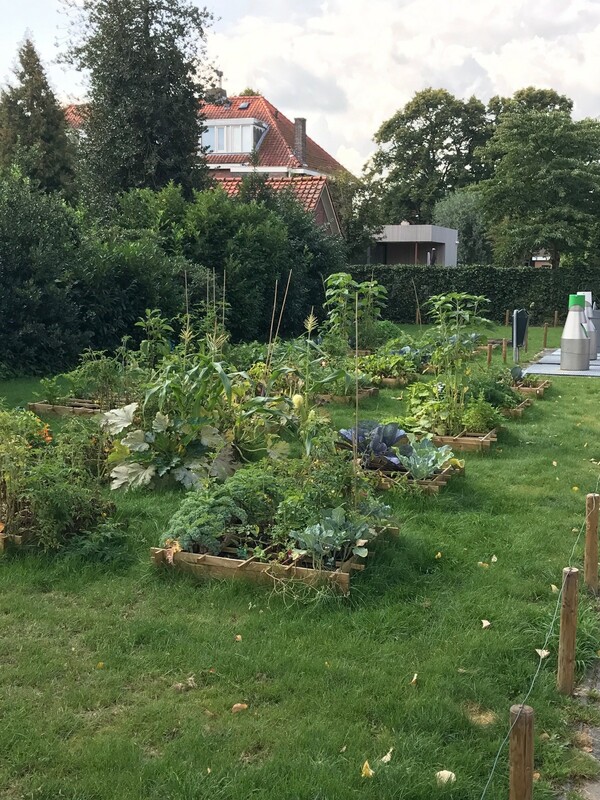 If a resident wishes to participate, then you donate 25 euros to get an own gardening box. You harvest your own vegetables when they are ready. The first harvest has to take place in autumn 2017. Around 10 households have particiapted in the initial idea. No governmental funding or special attention was paid. The idea can be very esily transferred to any city, if you have 100m2 of unused public space and some volunteers to launch it. So far, no "vandalism" was reported.